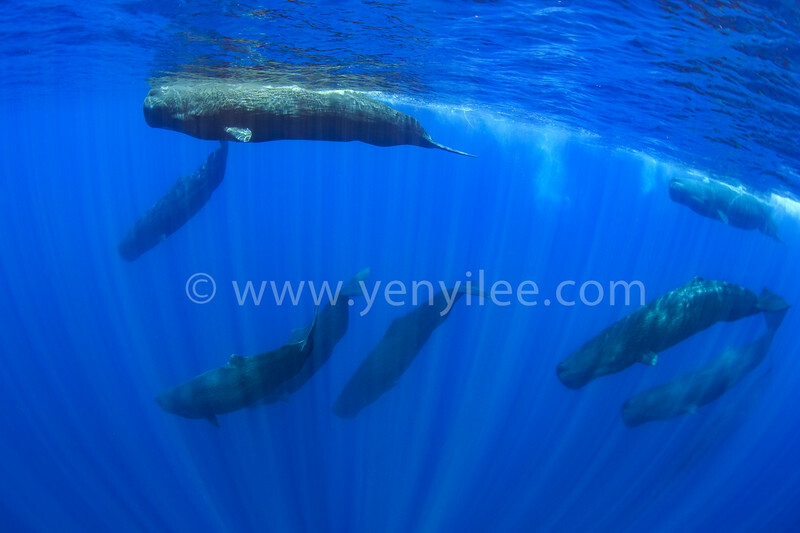 A superpod of sperm whale family. The sperm whale (Physeter macrocephalus), or cachalot, is the largest of the toothed whales and the largest toothed predator, with adult males measuring up to 20.5 metres long and weighing up to 57,000 kilograms. Sperm whales usually dive between 300 to 800 metres, and sometimes 1 to 2 kilometres, in search of food. Such dives can last more than an hour. They feed on several species, notably the giant squid, but also the colossal squid, octopuses, and fish like demersal rays, but their diet is mainly medium-sized squid. Sperm whales can live 70 years or more.